Dinnertime used to be a special family time in which we would all get together around the dinner table and talk to each other about how our day went. Nowadays, technology seems to have hijacked family time, since we are always glued to our smartphones instead of talking to each other. A curious gadget has come to the rescue to help us bring back communication to the dinner table. 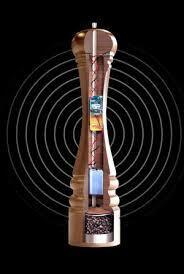 The Australian pasta sauce makerDolmio launched a pepper grinder that disables Wi-Fi and gadgets around the house for 30 minutes, so that everyone stays offline at least during meals. The way Pepper Hacker works is quite simple: just give it a grind when its time to eat and all the electronic equipment in the house will be shut down along with the Wi-Fi signal for half an hour, in which parents and children will have time to reconnect with each other without any technological distractions. The grinder is able to shut down any appliances that are powered by a wall outlet, but to turn smartphones and tablets, it is necessary that they have the AirWatch application installed. 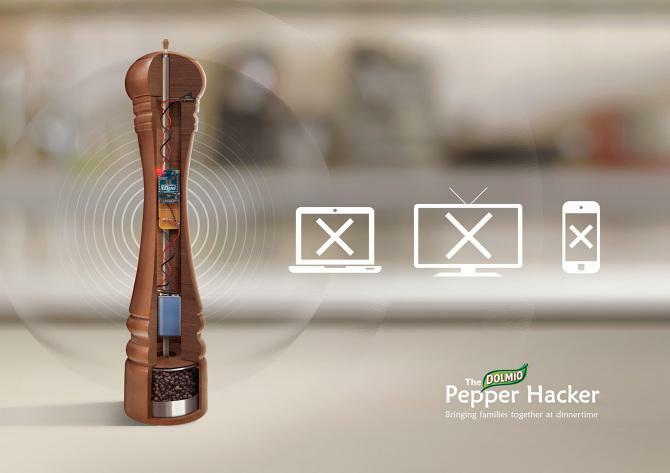 And yes, it also works as an actual pepper grinder as well, so not only does it spice your food, it also gets people to communicate with each other at mealtimes and avoid discussions involving the use of electronic equipment on the table. However, the Pepper Hacker is still under development. Dolmio hasn’t announced when the product will be available to the public or how much it will cost. But they did produce a few units for testing and filmed how that worked out in a few households. This entry was posted in Tech stuff, Uncategorized. Bookmark the permalink.